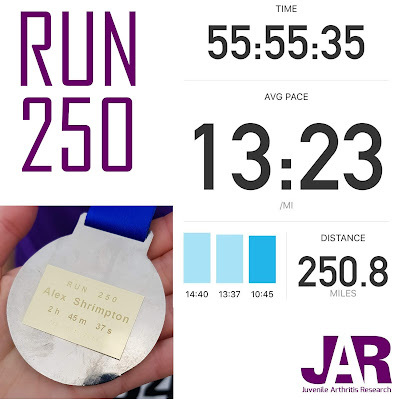 Just two weeks ago Alex started his #Run250 challenge. 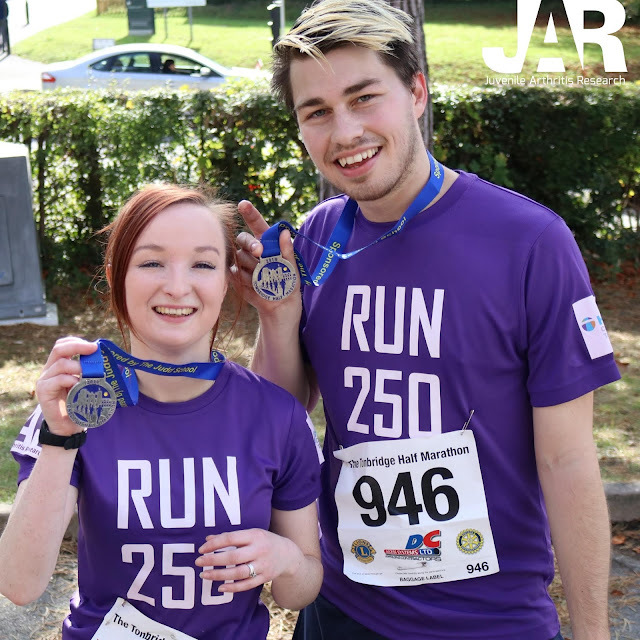 Today, he crossed the finish line at the Tonbridge Half Marathon with wife Lynnette bringing the total distance run to 250.8 miles in just two weeks. He has raised almost £1,000 so far which is simply amazing, but it would be fantastic to break that target. If you would like to support him you still can at www.give.net/Run250. He completed the final 13 miles today in a very respectable 2 hours 45 minutes, bringing his total running time to 55 hours and 55 minutes and an overall pace of a very impressive 13:23 per mile. We cannot even begin to thank you enough, Alex and Lynnette - well done for all you have achieved.